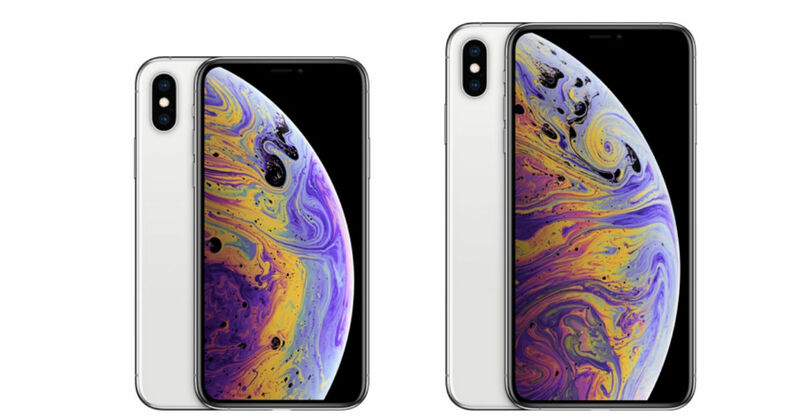 Apple has just released its latest iPhone models — the iPhone XS, the iPhone XS Max, and the iPhone XR, at the Steve Jobs theatre in Cupertino. Thanks to the leaks and rumours leading up to the launch, there were hardly any surprises in store but now that we have our official confirmation, it is time to take a closer look at the latest iPhones and see what exactly they bring to the table. Since the XS and XS Max are the “most advanced iPhones ever”, we decided to round up their top features. All the new iPhones are powered by the brand’s all-new A12 Bionic chipset. If you are thinking that it is just another annual iteration of the company’s proprietary chipset series, you cannot be more wrong. Apple’s chip is based on the 7nm fabrication process, which has only been used previously by Huawei’s HiSilicon Kirin 980 chipset as of now. The A12 Bionic comes with a six-core CPU, which comprises two performance cores and four power-efficient cores. The CPU is said to be 15 percent faster and up to 50 percent more efficient. The four-core GPU is claimed to of to 50 percent faster, and also comes with a powerful image signal processor, video encoder and more. As these new iPhones will be made available before the Mate 20 Pro, which will be the first handset with Kirin 980 SoC, iPhone XS and the XS Max will be the first phones in the market with processors made out of the modern technology. The 5.8-inch and 6.5-inch OLED displays on the iPhone XS and the iPhone XS Max have been claimed to offer 60 percent more dynamic range in HDR photos than the iPhone X. The 5.8-inch panel offers a screen resolution 2,436 x 1,125 pixels and the 6.5-inch screen bears a resolution of 2,688 x 1,242 pixels. The Retina display on these phones also come with 120Hz touch-sensing capabilities. Notably, with a 6.5-inch screen, the iPhone XS Max offers the biggest ever screen offered on an iPhone. As per Apple’s claims, the new iPhone XS and iPhone XS Max come with the “most durable glass ever in a smartphone”. Interestingly, the new iPhones are also rated IP68, making them even more resilient to dust and water. To recall, the last year’s models came with IP67 certification for dust- and water-resistance. Now, you can jump into the pool with your new iPhones and not worry about losing your phone to water. The iPhone X already featured one of the best cameras in the market. The iPhone XS and the iPhone XS Max continue the phone’s legacy by offering better hardware and software features. The handsets feature a dual-camera setup at the back, consisting 12MP + 12MP sensors with LED light sandwiched in between. At the front, you get a 7MP snapper for selfies. The primary wide-angle sensor comes with an aperture of f/1.8 and is bigger than last year, while the secondary telephoto sensor has an aperture of f/2.4. The new iPhones also come with improved True Tone flash for promising better output in poorly-lit conditions. Interestingly, the portrait mode allows users to change the aperture between f/1.4 to f/16 after clicking them. For selfies, the duo sport a 7MP f/2.2 TrueDepth camera. The new A12 Bionic chip also enables several camera-centric features. It’s been a long time coming, but finally, Apple announced that it has joined the dual-SIM bandwagon. The new iPhone XS and the XS Max will be coming in dual-SIM variants for the China market. For the rest of the world, including India, the handsets will come with support for a secondary e-SIM as well, letting people use two network providers simultaneously. Although it is unfortunate that India will not be getting the taste of the dedicated dual-SIM slots, this is a new turn in the company’s strategy and an interesting new feature for the iPhones. It’s evident that even though the new iPhones are an iterative upgrade over the iPhone X, they do bring forth some never-seen-before features. In terms of the pricing, the iPhone XS and XS Max will be available with a starting price of Rs 99,900 and 1,09,900, respectively. Both of them will be available to buy from September 28th.